The Wall Street Journal – 2017’s Top 250 Real Estate Teams! 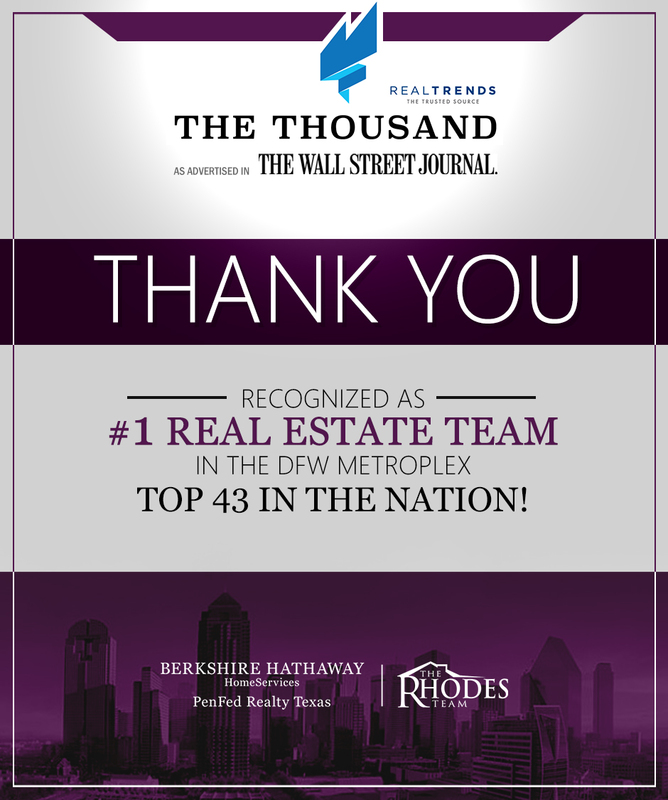 The Rhodes Team of Berkshire Hathaway HomeServices is proud to be named one of America’s top real estate teams by REAL Trends and as advertised in The Wall Street Journal. The Rhodes Team is once again a member of the “The Thousand Top Real Estate Professionals,” a prestigious national awards ranking sponsored annually by the two respected publications. 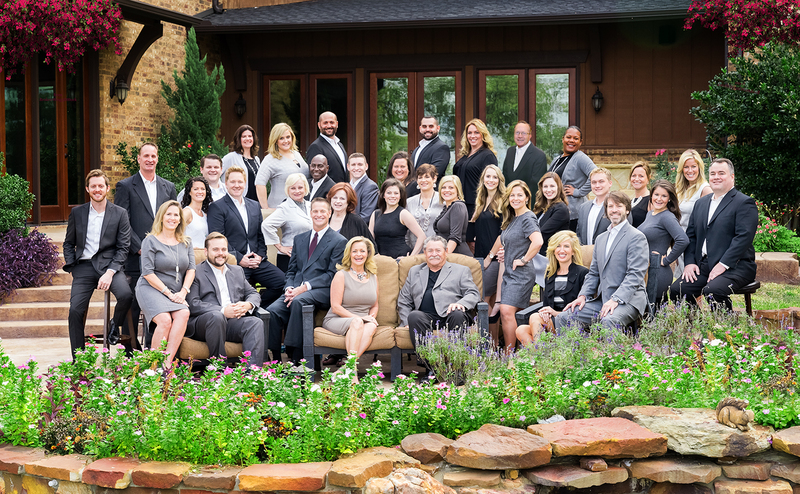 This is the 9th consecutive year of which The Rhodes Team has been ranked in the top one half of 1 percent out of the more than 1.25 million REALTORS® nationwide. According to The Thousand, The Rhodes Team had $224,099,195.16 in sales volume in 2016, which landed them at #53 in REAL Trends’ rankings, #4 with Berkshire Hathaway HomeServices and #1 in Dallas/Fort Worth. 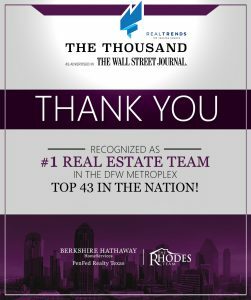 With homes sold totaling 581, The Rhodes Team sits at #43 in the nation, #3 with Berkshire Hathaway HomeServices and #1 in Dallas/Fort Worth. Becoming a member of such an elite group as The Thousand is an accomplishment that The Rhodes Team plans to continue to achieve by offering the highest quality real estate services to obtain outstanding results for its clients. About The Thousand – This awards program was developed jointly by WSJ. Custom Studios (and is not affiliated with the Editorial Department) and REAL Trends, a leading source of analysis and information for the residential real estate brokerage industry. REAL Trends The Thousand honors America’s elite real estate agents and their companies and is compiled and analyzed by REAL Trends with a special ad section included in The Wall Street Journal.